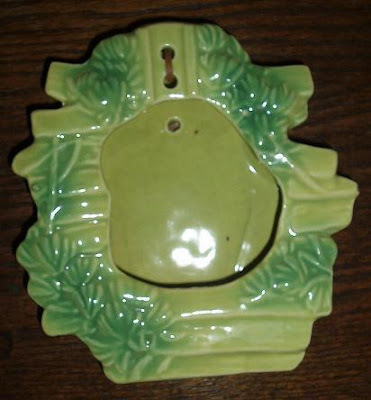 This item is marked Buckingham but it was an item made by McCoy Pottery. Not all Buckingham was made by McCoy though. This is unwired but was designed for a wall lamp and you also could have a plant inside the opening. Check out the McCoy Pottery Collectors Society on Facebook.